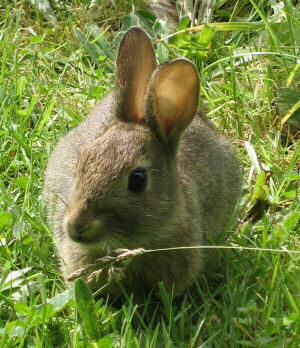 Residents in Stockholm are divided over reports that rabbits are being used to make biofuel. The bodies of thousands of rabbits are fuelling a heating plant in central Sweden, local newspapers say. The city of Stockholm has an annual cull of thousands of rabbits to protect the capital's parks and green spaces. 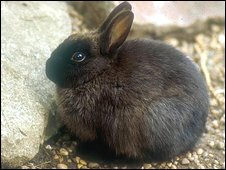 The rabbits, not native to Sweden, are mainly the offspring of pets released by owners, and are said to be destroying parks in the capital. Since they have no natural predators, the city administration of Stockholm employs hunters to kill the rabbits. Tommy Tuvunger, one of the hunters, told Germany's Spiegel website that 6,000 rabbits were culled last year, and another 3,000 this year. "They are a very big problem," he said. "Once culled, the rabbits are frozen and when we have enough, a contractor comes and takes them away." The frozen rabbits are then taken to a heating plant in Karlskoga which incinerates them to heat homes. Leo Virta, the Managing Director of Konvex - the plant's suppliers - told the BBC that Konvex has developed a new way of processing animal waste with funding from the EU as part of the Biomal project. He says that with this new method, raw animal material is crushed, ground and then pumped to a boiler where it is burned together with wood chips, peat or waste to produce renewable heat. "It is a good system as it solves the problem of dealing with animal waste and it provides heat," said Mr Virta. Reaction in Sweden has been divided, said James Savage, managing editor of The Local - an online news service covering Sweden. "In the town where they are burning them the reaction of the residents is quite relaxed," Mr Savage told the BBC World Service. "But in Stockholm there's the big city attitude of the rabbits being cute. "That's amongst some people, particularly among some animal rights activists who think this is not a good way to treat rabbits."